1. Insole with PU gel pads on the bottom. 2. 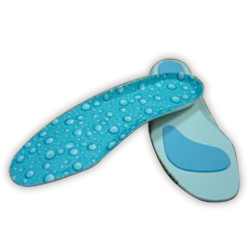 Gel Pads make the insole more cushion and comfortable. 2. Bottom: EVA foam with PU gel pads.